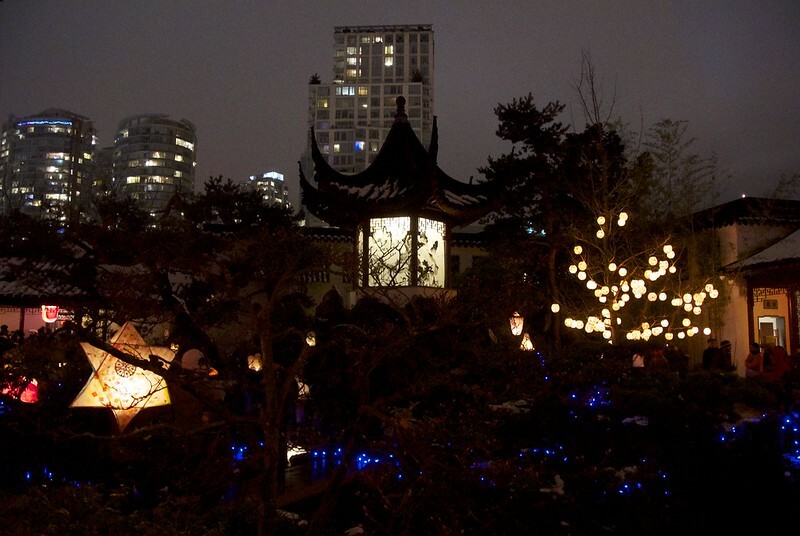 On Saturday, Ed and I went to the Winter Solstice Lantern Festival at the Vancouver Chinese Gardens. A few years ago I went to the festival by accident, and had always wanted to go again but I never remember until it’s too late. This year I decided I would not forget again, so I added it to my calendar in October. Success: we lanterned! Taking pictures of lights at night is one of my FAVOURITE THINGS EVER, so I was pretty giddy on Saturday and also wet because it was pouring. There were a lot of people there, but everyone was in good spirits. I even managed to not punch anyone (although I really wanted to because some people are obnoxiously oblivious of their surroundings), because that would be not at all in the spirit of the season. 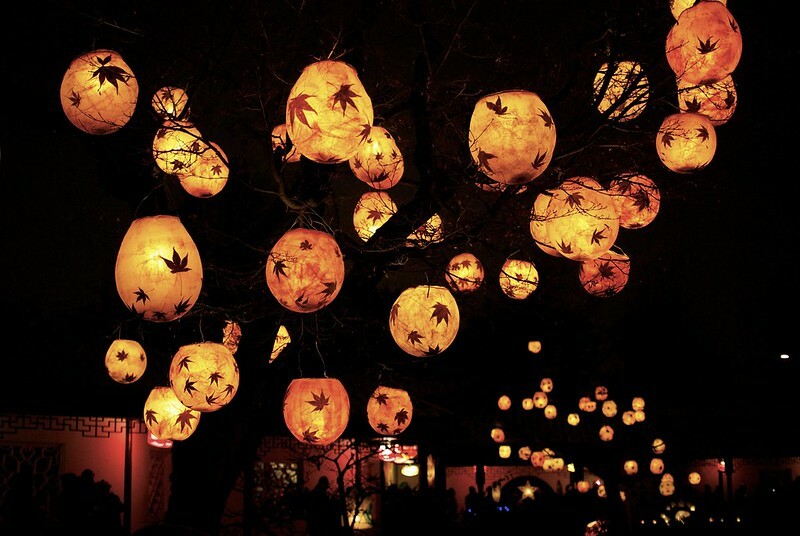 I love the Lantern Festival. By the time Ed and I left, I was soaked through and freezing and still basking in the afterglow of remembering the event as happening. Going Outside! It is Good Times! 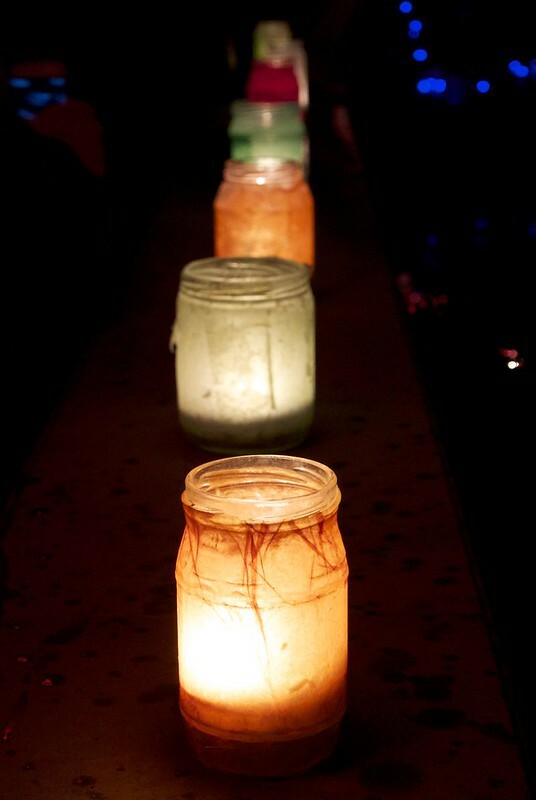 There are many festive light events going on around town, and I want to go to all of them. Before the end of the year, I’m going to the Aquarium, the lights in Stanley Park, Van Dusen Gardens, and anything else I can think of, even if I have to go by myself. This will be a continuing trend in 2014 .. I’m tired of missing out on things because no one will come with me and I don’t want to go alone. 2014 is the year I will Embrace the Alone. Hopefully it won’t be as sad and depressing as it sounds. There are a zillion more pictures on my Flickr stream, or you can check out my Instagram where I will be posting some as the fancy strikes for the next while.